The idea for this program came from Howard Brody, M.D., PhD., a faculty member at the University of Texas with doctorates in both family medicine and philosophy. Dr. Brody focuses much of his work on bioethics. Dr. Brody was aware that efforts to reduce health care costs have been stymied by voices that equate cost reduction with rationing of care. Thinking through this problem, Dr. Brody suggested that physicians start by identifying treatments that, based on the evidence, did not generally benefit patients. In 2010, he wrote an opinion article in the New England Journal of Medicine in which he called upon blue panel groups within medical specialties to each identify five treatments that the physician and the patient should discuss before moving ahead with the treatment due to data that suggested that the treatment most likely, on balance, would not benefit the patient. After a successful pilot program in pediatrics, family medicine and internal medicine, the ABIM Foundation took over the implementation of an expanded campaign. Existing specialty medical societies have taken the responsibility of evaluating the evidence and developing their Top Five list. To date, 58 medical specialty groups have submitted Top Five lists. Additional lists will be added throughout 2014. Once a specialty group completes its list, it disseminates the information to all its members. 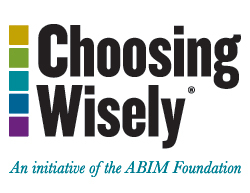 The Choosing Wisely® campaign also publishes the list on its website. The lists contain brief descriptions of why the treatment or medication has raised concerns. In addition to providing a summary recommendation, each entry is accompanied with links to the data that support the recommendation, enabling both physicians and patients to drill down and better understand the basis for the recommendation if they so choose. Some of the texts can be difficult for lay people to understand. Happily, Consumer Reports has translated many of the recommendations into plain English so that patients can better understand the thinking behind the conclusions. These lists are intended to be used to better inform a discussion between patient and physician. They serve as a starting point in a discussion between a physician and a patient in determining the best course of treatment based on the patient’s individual situation. The ABIM Foundation believes the program will reduce unnecessary treatments, and that by doing so, the US health system will offer higher quality care, at a lower cost. These lists also have the potential to create a more informed and engaged patient population in general, and improved communications between physicians and their patients at the personal level. Previous Article: Is Alzheimer’s Increasing or Decreasing Globally?